for lovers of the Phoenix Park and also for the just-plain curious. 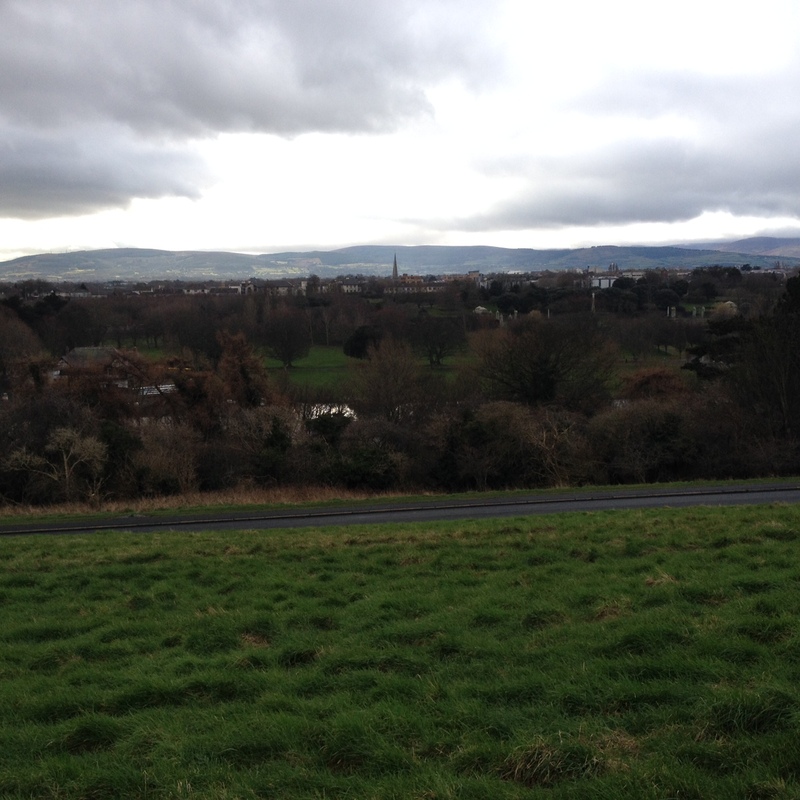 The Phoenix Park is enormous. It is 1752 acres. That’s a lot of acres. It is the largest urban walled park in Europe with vast open grassland areas, football pitches, woodlands (around one third of it is covered with trees) and even a few lakes and I’m looking forward to telling you about all of them. 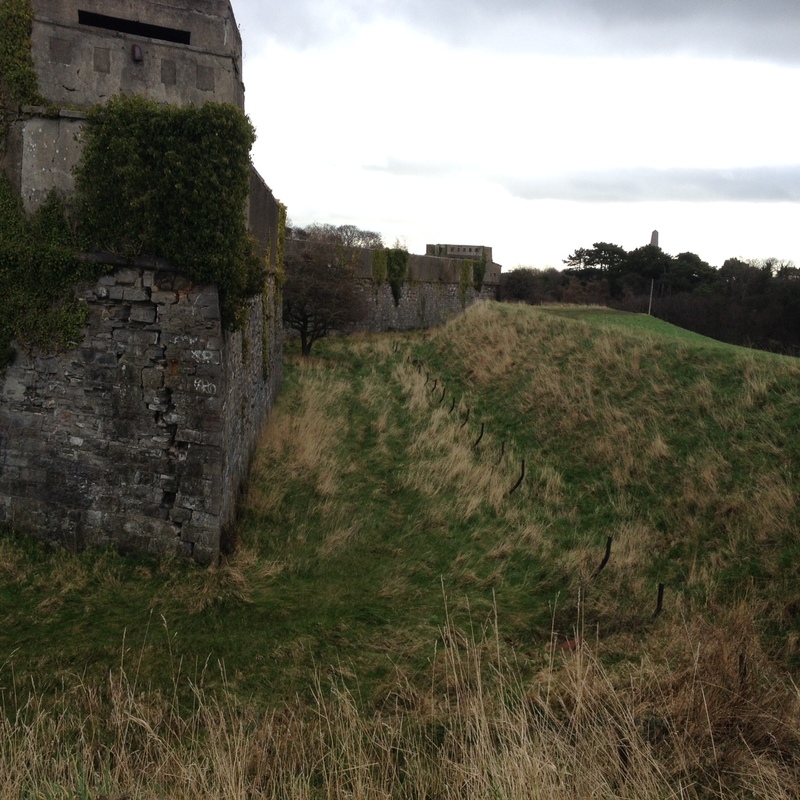 This week, I’m going to talk about one of the Phoenix Park’s hidden gems – the Magazine Fort. Although sadly derelict, the magazine fort still has an imposing presence when viewed from close up. And of course it even imposes itself on our history, with many a tale centred on the fort, not least the two IRA raids on the magazine, both in search of arms; the first in 1916 at the outset of Easter week and the second in 1939 at the outset of a rather larger conflict which I don’t have time to go into here! 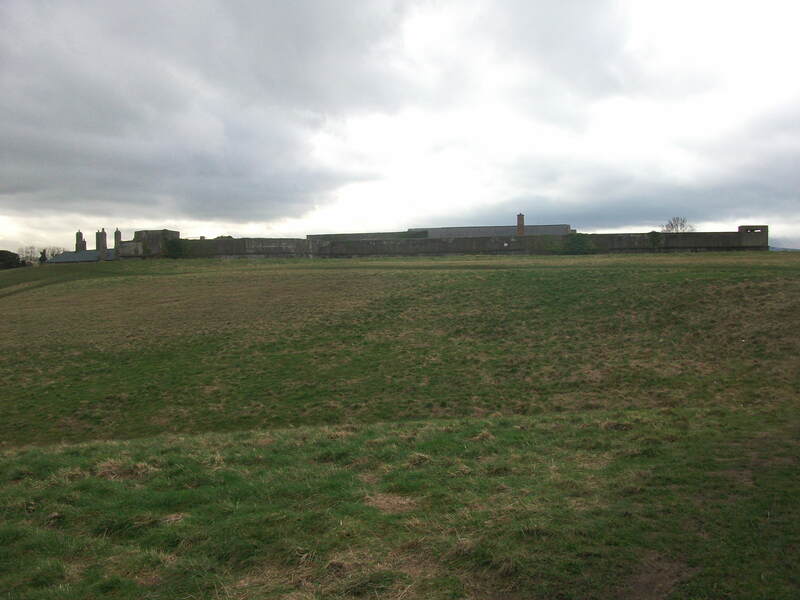 The fort, as one may surmise from its name is of course an entirely military concoction and whilst the Irish Defence forces handed over ownership to the OPW in 1988, it is the military history of the fort that gives it its special aura. It strikes one as a jaded and shabby relic of the British Empire for which we have found no use in these post-colonial times but if viewed in the right light (or frame of mind) one might think the British only left ten years ago and the fort has just become overgrown. 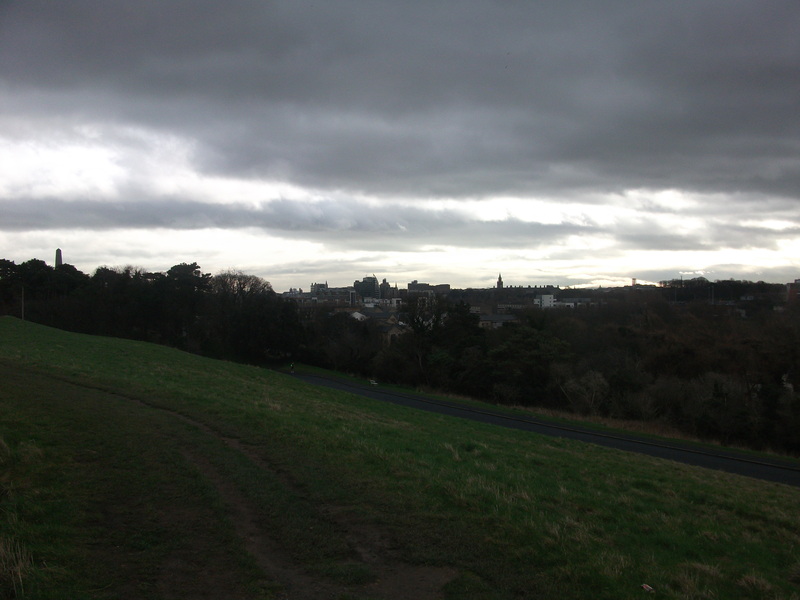 Set atop St. Thomas’ Hill, its location within the Phoenix Park was pretty obviously a military decision, as the heights commanded an excellent view of the city which in colonial times was essential given the amount of times we took to arms over the centuries. I have often heard that an artillery battery was stationed here and on the spot where the Wellington Monument currently stands. If true, then these two locations would have allowed the artillery an almost unparalleled view of the city and was probably a constant reminder to the natives about where power truly lay in the Ireland of those times. These days I’m glad to say we live in less trying times and if you find yourself looking for things to do in Dublin and a visit to the Phoenix Park is on the cards, perhaps to the Zoo or Farmleigh House, I highly recommend a detour to the Magazine Fort if only to see the all-important view that the British military were so keen on. In addition to the elevated aspect, the architecture is a fine example of the solid functional kind that most barracks in Ireland possess. Far from its intended use, these days the fort is largely overgrown with grass and makes an excellent parade ground for my own personal canine infantry. There are a number of paths worn through and it is obvious that my Jack Russell and I are not the only ones marching here. One of the most interesting things about the Magazine Fort is the dry ditch surrounding it. It’s actually a dry moat and my dog loves it there. He is up and down the bank like a furry rocket and contrives to look sad when we leave but then again he has a large personality for such a small dog. I cherish the park and its tranquility and its beauty and its wildlife and I always dread to think what could happen if we ever lost the run of ourselves and allowed developers to get hold of it. I am not anti-change though and for years I have thought that the OPW could renovate the Magazine Fort and use it perhaps as a library, visitor centre, museum or even an eatery if done with care. (It would have spectacular views). Quite simply there is too much history and beauty for this opportunity to be missed.